red and yellow apples, but that green one is a bit too tart for me. 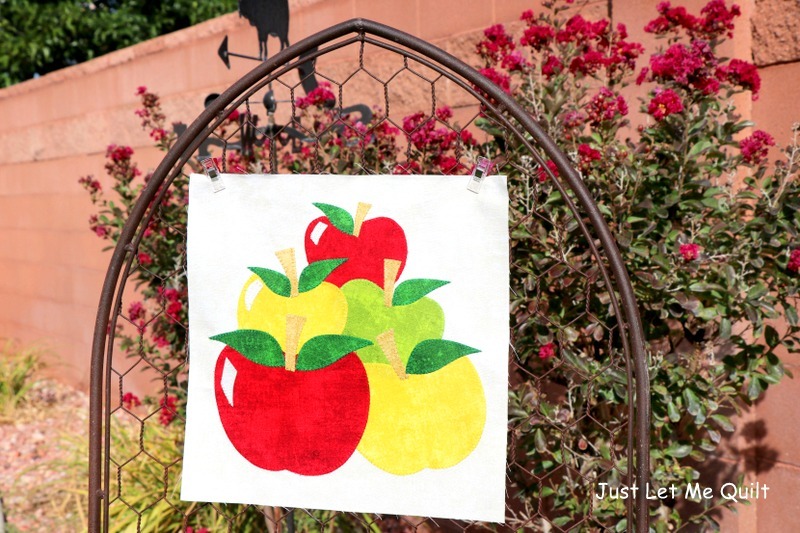 Creating and sewing this block of apples for the Therm O Web block of the month was easy. and your designs are ready for to be ironed on the fabric. No tracing! I used Northcott's Canvas fabrics by Deborah Edwards to make the apples. You can find the pattern for APPLES in my Craftsy store HERE. If I'm gonna eat apples I want them in a pie but if I wanted to admire apples I'd choose to admire your wall hanging. Great job. That's really cute and perfect for fall arriving so quickly. Your block of apples looks wonderful! Love the design and perfect fabric selection.